The California Bureau of Marijuana Control recently held in Eureka the first of four state-wide hearings scheduled to receive local and regional input on draft regulations for medical marijuana it issued at the end of April. The 45-day comment period ends June 13. Following the enactment of the Medical Cannabis Regulation and Safety Act in October of 2015, the Bureau's charge as the lead agency on medical marijuana has been to focus on the regulatory infrastructure for licensing operators in several areas: cultivation, processing and manufacturing, dispensaries, delivery and testing. The deadline for implementation is Jan. 1. The rule-making and implementation is challenged by the passage of the adult use initiative last November. Gov. Jerry Brown, wisely, has insisted that there be only one regulatory regime. There are a number of bills — I understand as many as 40 — relating to marijuana currently pending in the Legislature. As a practical matter, the governor's budget bill is likely to reconcile the existing statutes, pending bills and contentions, and not necessarily to everyone's satisfaction. Amid the legislative and special interest group jostling in Sacramento for almost two years, the incumbent healthcare industry (hospitals and medical groups) largely has been absent from the policy dialogue on medical cannabis. The exception was that, in the contest last year over Proposition 64 (adult use of marijuana), the California Medical Association (physicians) supported it, while the California Hospital Association opposed it. Otherwise, there has not been dialogue or advocacy from the healthcare industry. The California Department of Consumer Affairs Medical Board has a Marijuana Task Force but its activity has not been generally notable. However, as an individual with experience in healthcare governance and healthcare's challenges and opportunities, I am a supporter of medical cannabis. I believe it to be effective for curative and palliative treatments for a number of medical conditions across the population, from children to the elderly. There are a number of conditions that can be treated with successful results, though unfortunately, to date, there has been only scant scientific validation of the benefits. The evidence or validation, though expressed passionately and often convincingly, has been anecdotal, scattered and testimonial in nature. However, certain conditions were recently identified as treatable by cannabis in a report from the National Academies of Sciences as: chronic pain, post-traumatic stress disorder (PTSD), sleep disorders, anxiety, epilepsy (including severe childhood epilepsy), nerve pain, chemotherapy-induced nausea and vomiting, Tourette's syndrome and glaucoma. I would venture that the opioid epidemic might be alleviated by the use of cannabis, too. 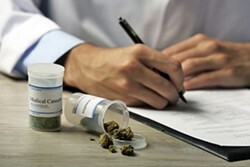 In the interest of spurring the beginning of dialogue on the use of medicinal cannabis by the incumbent healthcare providers and more specifically to review and comment on the bureau's draft regulations, the Northern California Healthcare Authority decided to conduct a webinar for its members' governance trustees and hospital administrators. The authority is a joint powers organization of five healthcare districts and hospitals in the three counties of Sonoma, Mendocino and Humboldt. The Mendocino and Humboldt constituents are the Southern Humboldt Community Healthcare District and the Mendocino Coast Healthcare District, each with a hospital. 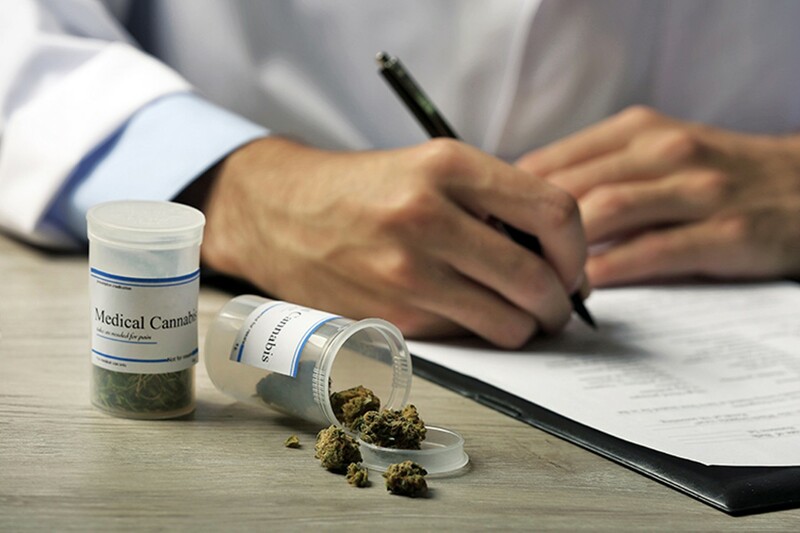 The Health Care Authority conducted a 90-minute webinar with six knowledgeable panelists, each with an insightful point of view on a specific medical cannabis domain, such as treatment results, patient access, industry challenges and opportunities, and testing. In sum, the concerns expressed about the draft regulations (with which our panelists were quite familiar) were regulatory over-reach and high taxes and fees. Each of these could inhibit the development of medical cannabis as a robust alternative to prescription and other therapies. Over-regulation and high prices could keep the black market alive and, at the same time, force out small legacy growers, producers and providers. Personally, my hope is that the regulations will bring this established though nascent industry, which has become rooted in Northern California, out into the open. The regulatory framework needs to be supportive of its pioneers in the North Coast who are the main small businesses sustaining the regional economy. Importantly, the regulatory regime needs to be a framework to develop a vibrant "medical" cannabis practice. Frankly, from my point of view, despite the thorough coverage of several critical areas in the draft regulations, I do not see explicit encouragement for medical cannabis best practices. As much as I'm sure the bureau has worked hard to write effective regulations to address the critical issues embodied in the enabling legislation, I likewise hope it will strive for the development in California of the nation's best medical cannabis practice for the benefit of patients, and to have more patients confidently receive treatments from the different modalities of cannabis. In the meantime, medical practitioners need to quickly engage with the developments underway. Bill Boerum is a publicly elected trustee of the Sonoma Valley Health Care District and chairman of the Northern California Health Care Authority. He is former vice chair of the Association of California Healthcare Districts.